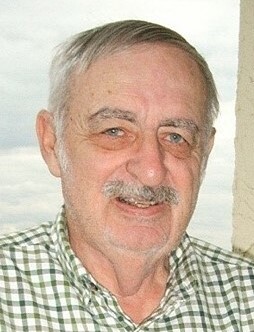 Obituary for David R. Clapper | Timothy A. Berkebile Funeral Home Inc.
David R. Clapper, 88, of Bedford, died on January 30, 2019 at his residence. He was born on October 15, 1930, in Hopewell, a son of the late D. Warren and Nellie Marie (Knisley) Clapper. On June 19, 1952, in Winchester, VA, he married Dorothy "Dottie" (Hite) Clapper who survives along with the following family: five sons, David E. Clapper and wife Lisa, of Carlisle, John R. Clapper and wife Maura, of Bedford, Larry W. Clapper, of Schwenksville, Michael J. Clapper and wife Patty, of Dover, DE, Jeffrey L. Clapper and wife Joleen, of Bedford; 13 grandchildren, Kerri, Matthew, Sarah, Jacob, Kateri, Joseph, Joshua, John, Jamie, Simon, Ethan, Levi, and Codi; six great grandchildren; and two great -great grandchildren. David graduated from Bedford High School in 1948 and then served with the Navy during Korea. He was a member and elder of the Pleasant Hill Bible Church, and retired from Westinghouse as electrical engineer. After retirement he started D.R. Clapper Realty. He was a past president of the Lions Club. He enjoyed traveling the U.S. and Canada, building models, reading, farming, remodeling and building homes, watching Nascar and the Steelers and loved spending time in Florida during the Winters with his beloved wife Dottie. He was a loving father and devoted husband. Funeral Services will be held on Tuesday, February 5, 2019, at 11:00 a.m. at the Pleasant Hill Bible Church, in Bedford, with Pastor Deken George officiating. Burial at Pleasant Hill Cemetery. Friends will be received on Monday, from 6 - 8 p.m. at the Timothy A. Berkebile Funeral Home, in Bedford and one hour prior to the service on Tuesday at the Church. Those wishing may make memorial contributions in Mr. Clapper’s name to Pleasant Hill Bible Church, 2793 Briar Valley Road, Bedford, PA 15522. Our online guest book is available at www.berkebilefuneralhome.com.